Overall Frame Size – 87×87 cm at the largest points. 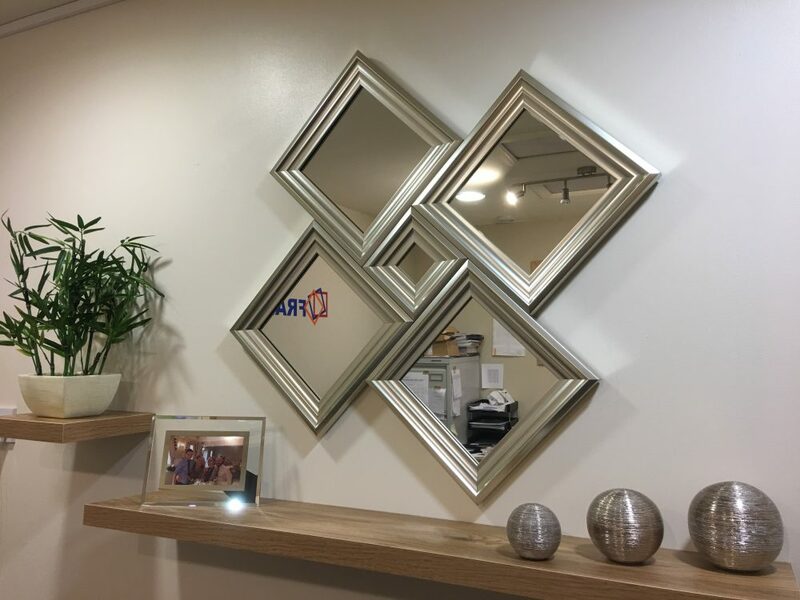 There are 5 frames securely fastened together making this unique diamond shape mirror. All of the frames have the stunning step effect adding extra depth and adding to the contemporary style and quality finish.